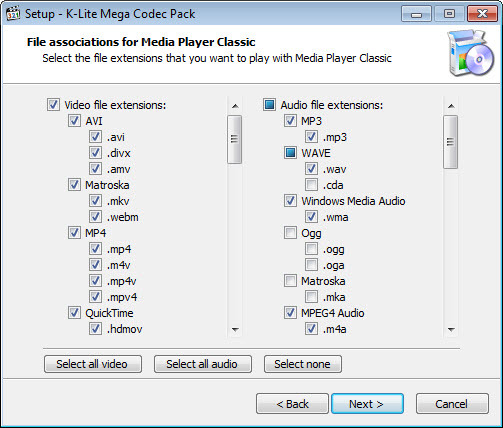 The Mega variant is the largest of the four variants of the codec pack. It provides everything that you need to play all your audio and video files. Additionally, it also contains some ACM/VFW codecs that can be used by video encoding/editing applications. HDR Video Playback To play such videos you need to use the included MPC-HC player and select Madvr as the video renderer. Madvr will automatically send the HDR metadata to your TV when it is HDR capable. Otherwise, it will convert the video to SDR so you can watch it (with proper colors) on a normal monitor/TV. Or during installation of the codec pack. 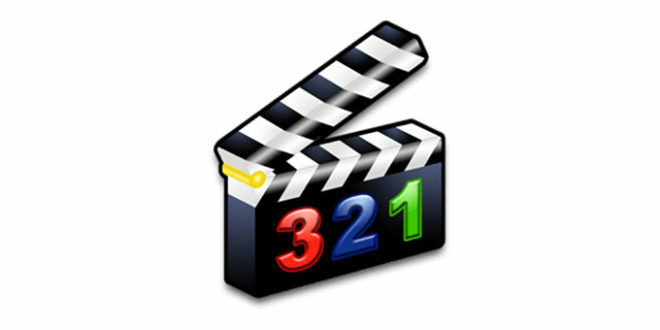 3D Video The codec pack contains a plugin for decoding H.264 MVC 3D Video. To properly watch such videos you should use the included MPC-HC player (64-bit version) and select Madvr as the video renderer. Outputting 3D video to your monitor/TV requires Windows 8.x/10 (or Windows 7 with a modern NVIDIA GPU). Blu-ray MPC-HC is capable of playing Blu-ray discs. 1) It doesn’t support Blu-ray menus. It automatically plays the longest title on the disc. Other titles can be accessed through the Navigate menu of the player. 2) The disc must be decrypted using an external tool. For example AnyDVD HD or Passkey Lite. Install the K Lite Codec Pack.